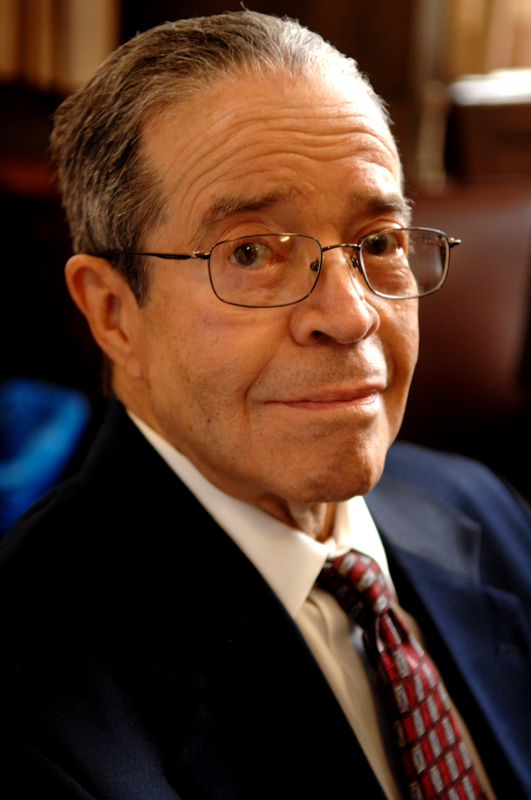 J. Ernest Wilkins Jr. (1923-2011) was a prominent African American mathematician and physicist who worked at the University of Chicago Met Lab during the Manhattan Project. Wilkins entered the University of Chicago in 1936 at the age of 13, becoming one of the youngest students to ever attend the university. After completing his Bachelor’s degree in Mathematics at 17, he continued his academic studies, receiving a Master’s degree the next year. In 1942, at the age of 19, Wilkins became the seventh African American to obtain a Ph.D. in Mathematics from the university. After graduation, Wilkins taught mathematics at the Tuskegee Institute before joining the University of Chicago Met Lab in 1944. Working in collaboration with Arthur Compton and Enrico Fermi, Wilkins researched methods for producing fissionable nuclear materials, focusing in particular on plutonium-239. He did not learn the purpose of his research until the atomic bomb was dropped over Hiroshima on August 6, 1945. In the fall of 1944, Wilkins's team was scheduled to be transferred to Oak Ridge, but Jim Crow laws prevented him from taking up a scientific post there. Instead, Edward Teller recommended him for a position with Eugene Wigner who at the time was researching the design and development of nuclear reactors that would convert uranium into weapons grade plutonium. Wilkins collaborated with Wigner on research in neutron absorption, leading to their discovery of the Wigner-Wilkins approach for estimating the distribution of neutron energies within nuclear reactors. Their joint paper, written in 1944 and declassified in 1948, was eventually published in Wigner’s Collected Works. Wilkins, along with seventy other Manhattan Project scientists working at the Met Lab, signed Leo Szilard’s petition to President Truman. After the war, Wilkins worked as a mathematician for the American Optical Company in Buffalo, New York designing and testing optical techniques for microscopes, telescopes, and other ophthalmologic uses. He also continued his academic pursuits and earned both a BA and MA degree in mechanical engineering from New York University. Like many scientists who worked on the Manhattan Project, Wilkins was interested in the potential peaceful applications of atomic energy. From 1950-1960 he held a variety of positions at the Nuclear Development Corporation of America (NDA), later the United Nuclear Corporation (UNC), in White Plains, New York. As a senior mathematician and manager of the Physics and Mathematics departments, Wilkins oversaw a range of research and development projects and worked closely with the Atomic Energy Commission. In 1970, Wilkins became the Distinguished Professor of Applied Mathematical Physics at Howard University, where he founded the university’s Ph.D program in mathematics. From 1974 to 1975 Wilkins served as president of the American Nuclear Society, and in 1976 became the second African American to be elected to the National Academy of Engineering, one of the highest honors an engineer can receive. He was also a visiting scientist and Distinguished Fellow at Argonne National Laboratory. Wilkins retired in 2003. He passed away at the age of 87 on May 1, 2011 in Fountain Hills, Arizona. Image courtesy of Dan Dry/Wikimedia Commons. 1923 Nov 27th Born in Chicago, Illinois. 1940 Received a BA in Mathematics from the University of Chicago. 1941 Received an M.A. degree in Mathematics from the University of Chicago.